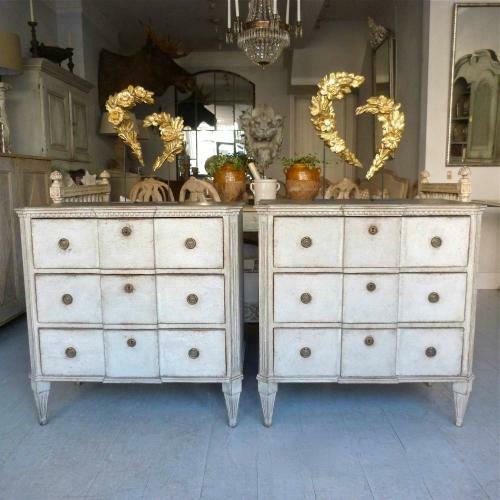 A superb pair of Swedish Gustavian style chests that make perfect bedside cabinets with the advantage of great additional storage. Featuring faux marble tops, canted & fluted corners, dentil trim, carved drawer fronts. and tapered & fluted feet. Circa 1890.